I love the Mormon messages but wish I could cast them to my Google Chromecast. My son loves watching the children’s narrated picture scripture videos as he falls asleep at night on YouTube. However YouTube doesn’t seem to have the Old Testament videos posted. They are in this app, hooray! Except it won’t auto advance to the next video like I need it to and you have to click on each one every time you want to play, it will only play one and then stop. Please add an auto advance feature. Also a playlist feature with auto advance so you can pick what videos and in what order they play would be great. The only thing I really need this app to do, it doesn’t seem to do reliably. This app is great and is frequently used in my home. Would love the option to cast audio or video. I have several Google home speakers and I would love to be able to cast Conference throughout my home or play music in a similar way. 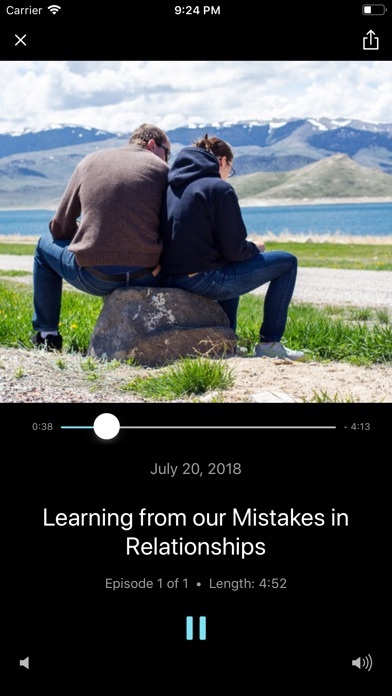 The player will in this app fails to function correctly. It delays play, gets stuck in player mode after audio episodes are played, when I close the app completely and open it up again hoping it’s will reset the app. I have to turn off my phone and turn it back on again only then will the app restart. I love the concept of this app but there is lots of room for improvement in making it more functional and easy to use. It needs to be obvious which episodes you have previously listened to without having to go back and search through your history. It’s really frustrating when I start a conversation episode or something as I’m driving only to find I already listened to it and can’t change it now that I’m driving. It should have a time bar showing how far you’ve listened from the icon before you click in. The conversations section should include obvious dates the episodes were recorded to give the listener a time reference. 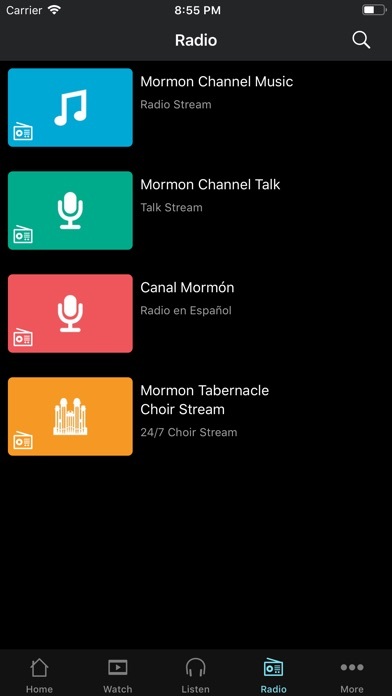 It should also auto play when you are in a given section so when you are driving and listening to the daily messages you don’t have to stop and start the next one manually. I guess the app would just seem more functional if it played more like the podcast app. 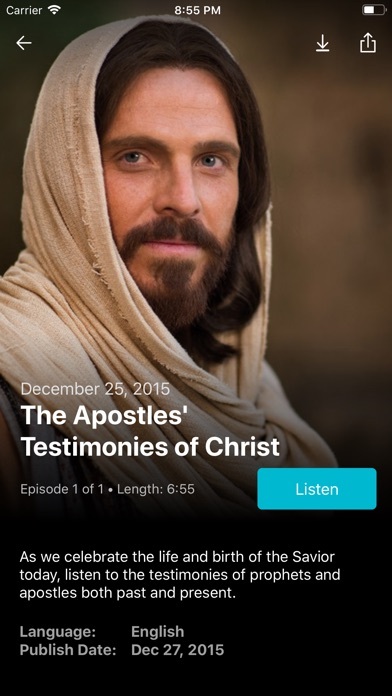 This app has a lot of great resources, but it often struggles to play any of the audio or video for more than a few seconds at a time, even with premium high speed internet. 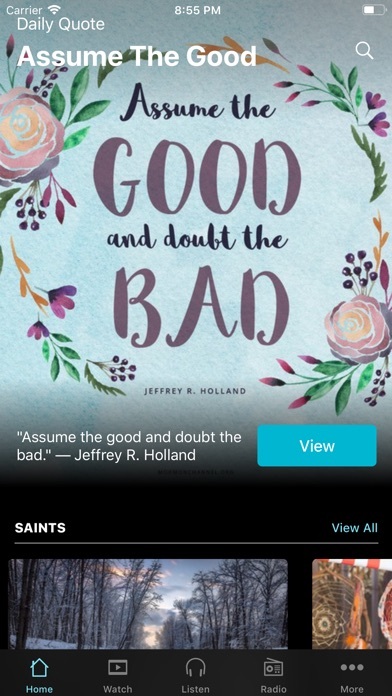 It's been going on so long I've almost given up and decided to download conference talks from lds.org and then move the files to my phone because trying to use this app to stream anything more often than not just doesn't cut it. I love this app. Could you add a conference talk stream, please? I would also love a way to use the live streams as an alarm clock. 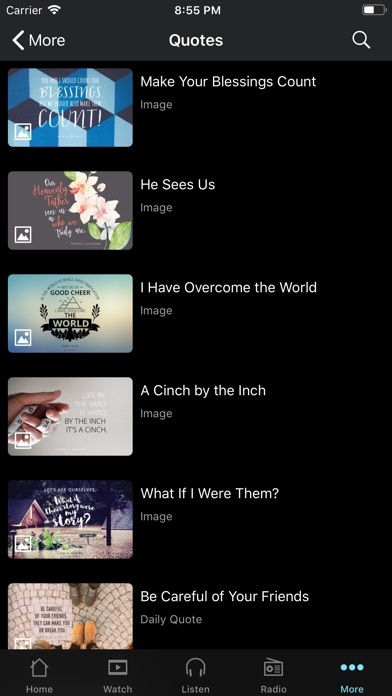 Can you please please add a ‘play all’ feature in the scripture stories (the videos that are straight out of the scripture stories books) in the Roku app? I hate that I have to sit there and turn on each one, my kids would watch them much more often if we could just start it and go!! !